What would it take to make you happy? How can you achieve that true, sustainable kind of happiness? Many of us want to achieve the kind of happiness that withstands the test of time. We want the kind of happiness that lasts for years, days—the kind that extends beyond mere minutes or a particular “great” day. It is easy to notice that children seem to hold onto to the kind of unequivocal happiness that adults seem to lose as we grow up. As adults, that innate ability to experience joy in favor of being serious and having real-world problems seems to have disappeared. But have we really lost it? I am here to share that we perhaps we just got lost in misidentifying the factors that create happiness. So what actually creates happiness in our lives? The answer is as simple as this: stop judging yourself. When you are not in judgement of yourself or anything around you, things are lighter, simpler…and happier. Letting go of judgement and choosing happiness is a simple, moment-by-moment choice. You may be wondering: if happiness is just a choice, if it’s just as simple as “I choose to be happy now,” why is it that we so often feel unhappy or unsatisfied? On this planet, we’re validated more for being unhappy than happy. When you are sad or upset, people will come to you and ask, “What’s wrong? Are you ok?” It’s great to have support, but sometimes, that’s the only time we are ever given any attention. Not only that, but 98% of your thoughts, feelings and emotions don’t actually belong to you! You are picking up thoughts, feelings and emotions from the people around you. While this may sound a little odd, let me clarify with an example: have you ever walked into a room and instantly know the mood of the people within it? Before anyone even turns your way or speaks a word to you, you know what the atmosphere is going to be like. You are picking up on their mood without even intending to. With this in mind, here are five simple tools I would like to invite you to use to find your ‘happy place’ more easily. These tools have personally and dynamically helped me, and still do. The moment you become aware that you’re not happy, ask yourself “Who does this belong to?” When this question lightens or alleviates you—even just a little—that dissatisfaction is not yours. Just return it to sender. When something goes wrong, ask yourself “how does it get any better than this?” We often think if something “bad” or not so great happens, we’re stuck with it and we can’t change it. If you ask this question, you give up being stuck and open the door to finding out how it can change and get better. Let go of judgments of yourself and others. Most of us have judged ourselves non-stop for most of our lives. Judgment is the fastest way to kill happiness and kill possibilities. “Where gratitude blooms, happiness ensues.” Take time to look at what you are grateful for in your life, and about you. Acknowledge that you are the one who created these aspects of your life—maybe you are a little (or a lot) more brilliant than you think you are! The really awesome thing about choosing to be happy, choosing gratitude and choosing to let go of judgment, is it becomes an invitation for the people around you to choose it too! What if you choosing to be happy is the gift this world needs? Create happiness in your life. Be you – the happiest you that you can be. It’s the best gift you have to offer. 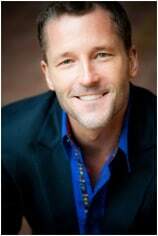 An energy transformation virtuoso, author, international speaker, doctor of chiropractic and workshop facilitator, Dr. Dain Heer is best known for his unique energetic transformation process, called The Energetic Synthesis of Being. Dain has become an internationally recognized thought leader in transforming lives and creating different choices – willing to empower people to see different possibilities and to recognize what is truly possible for them. He hosts a regular radio show entitled Conversations in Consciousness, and appears regularly on Dr. Pat and Voice of America.